If you’re thinking of north shoring your company to Manchester or you’ve already made the move, it’s important to know exactly how to market your brand to get the most exposure possible in your brand new city. A great way to market your brand in Manchester is by applying for both regional and even national awards. Regional awards will put you right in front of your current target market and highlight you as a true competitor in your field, helping you generate new business. If you’re feeling brave enough, national awards will open you up to a whole new demographic and shine a spotlight on you as an industry leader based in the heart of Manchester. 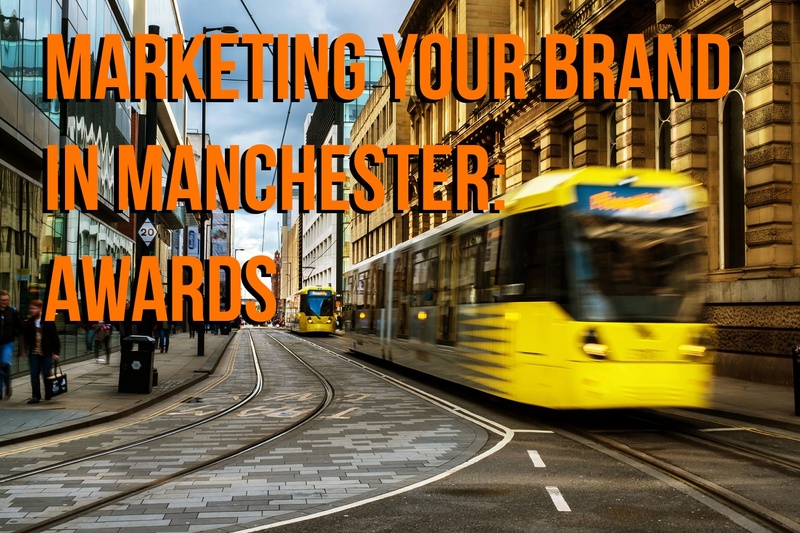 So, what awards should you apply for to maximise your brand marketing in Manchester? Downtown Manchester in Business hosts this annual gala dinner and award ceremony to highlight the city’s finest businesses, business leaders, entrepreneurs and decision makers. Now coming into its 8th year of celebrations, the ceremony has amassed a huge following and has become a must-win award amongst Manchester businesses across a range of industries. In the run up to this year’s awards, Downtown in Business created the video series “Who are yer” to highlight big names in Manchester and discuss what it’s like to do business in our city. Video is huge in 2017, with 74% of online media consumption being video, and this is only set to grow! Getting your businesses in front of Downtown in Business’ camera is a fantastic way to market your brand in Manchester and be seen by a huge Manchester-based audience. There are few better ways to showcase your success as a Manchester business than to compete for honours at the Manchester Evening News (MEN) Business of the Year Awards. The MEN is the biggest selling regional newspaper in Manchester, and one of the biggest selling news organisations in the North, so winning this accolade would put you on the radar of some big industry names. The categories for the MEN Business of the Year awards include Young Business of the Year (3 years’ trade or less), Turnover between £50m & £100m and Turnover of up to 5m. To see a full list, click here. These awards are open to all kinds of organisations, with businesses in retail, leisure, tourism and recruitment being among the winners this year! What are you waiting for? Fancy branching out a little bit further? The Prolific North Awards celebrate excellence and recognise and reward outstanding campaigns and exceptional talent in the creative and media industries across all of the North. Albeit more media-focused, there are very few companies that don’t run campaigns or utilise traditional media to secure more business, so this is your chance to earn some well-deserved praise. With categories ranging from Best Digital Agency to Website of the Year, there are more than enough options for you to have a go at! If you’re feeling really confident, you can go one step further and try out for the most prestigious national award on offer. The Queen’s Award for Enterprise is for outstanding achievement by UK businesses in the categories of innovation, international trade, sustainable development and promoting opportunity through social mobility. To apply for the Queen’s Award for Enterprise your organisation must be based in the UK (including the Channel Islands and the Isle of Man), be a self-contained enterprise that markets its own products or services and is under its own management and have at least 2 full-time UK employees or part-time equivalents. If you win you’ll be invited to a Royal reception at Buckingham Palace, hosted by Her Majesty The Queen and you’ll be presented the award at your company by one of The Queen’s representatives, a Lord-Lieutenant. If you win this huge UK-wide accolade, marketing your brand in Manchester will become easier than ever! If you’re north shoring to Manchester and want to get some quick publicity for your brand, awards are a great way to do it, particularly if you already have a well-established business. For some extra help, download our brand new eBook about how to market your brand in Manchester. Oh, and don’t forget to follow us on Twitter and Instagram to stay up-to-date on all things Manchester, PR and marketing!